What is the secret in Turkish national broadcaster? Turkey’s national broadcaster has money to burn that would be the envy of many a CEO. But unlike most multinationals it does not have to make a profit and as long as there is a demand for electricity it will have money, but now more and more people are asking how much money does it get, and more importantly, what is it being spent on? The question of the Turkish Radio and Television Corporation’s (TRT) finances is not only being debated within the country but now that question over the broadcaster’s finances is even making global news. The latest to raise questions over TRT’s finances is well known Turkish television personality Banu Güven in a column written for the German international broadcaster Deutsche Welle (https://www.dw.com/tr/banu-güven-trtde-sır-olan-ne/a-46908300). Güven called for greater transparency over TRT’s finances. “Time is flowing and people forget so quickly, therefore, important issues need to be emphasised and questioned again and again. Where does TRT spend our money and how much?” the veteran journalist Güven asks. Güven points out that the question of TRT’s high expenditure has been brought into the public spotlight in many different ways. Alpay Antment, a Member of Parliament (MP) for the main opposition Republican People’s Party (CHP) in Mersin City, recently questioned TRT World’s spending on foreign productions in parliament. If he was expecting an answer, he did not get it. Turkey’s Vice President Fuat Oktay simply refused to answer, saying that any information about how much TRT spends on foreign production are a “trade secret”. It is not an assertion that Güven accepts. “TRT is not a private entity which can have financial secrets. TRT is a public enterprise, not a private company. It was established in 1964 and defined as an independent state owned enterprise in the Turkish constitution. So the public broadcaster broadcasts for the public. A high percentage of TRT’s income come from the public. It operates with public money. Therefore, as a public broadcaster, he (Oktay) is obliged to offer and account for the service offered to the public. So, TRT has to be held accountable for the services offered to the public and has to be transparent on its budget,” Güven insisted. Güven explained that approximately 80 to 85 percent of TRT’s revenues come from a tax on electronic, electrical devices or even a car containing a radio or television transmitter that are sold as well as a tax on electricity consumer’s bills (big industrial corporations are exempt from paying this tax). TRT’s revenue from adverting amounts to less than 10 percent of its total revenues. Güven points out that TRT’s website only has three annual financial reports for 2015, 2016 and 2017. Previous years and this year’s report are not available on the website. 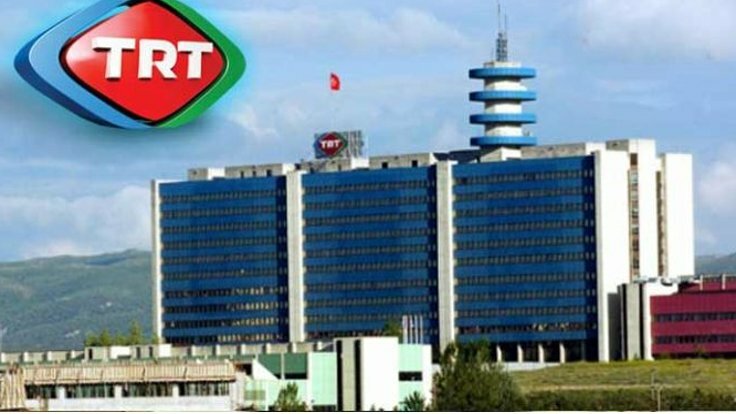 She said that the revenue generated by TRT in 2018 should be in the reports of the Turkish Court of Accounts (Sayistay), the court reports to the Committee on State Economic Enterprises (KIT) of the Grand National Assembly of the Turkey – in other words parliament. “Turkish citizens pay the amount of two percent of their electricity consumption to TRT through electricity bills. We can not see that revenue on the TRT website. The member of KIT Commission, CHP Ankara MP Ali Haydar Hakverdi announced in 2017 that TRT secured the revenue of the amount of 690.18 million Lira ($130.7 million) from electricity bills. Previous Turkish governments were charging the percentage for TRT from all electricity subscribers, but now the ruling Justice and Development Party (AKP) exempts industrial companies from that tax and charges TRT’s percentage only to the bills of ordinary household subscribers. All this is no secret.” Guven explained. In her column Güven gives an example of European public broadcasters’ transparency over income and expenditure. She said that the BBC from the United Kingdom updates its annual reports in a very detailed way, with the reports available at:https://www.bbc.co.uk/aboutthebbc/insidethebbc/howwework/reports/ara. German public television also shares its financial reports with the public. Güven says that there are some detailed reports updated on the TRT website but that the information about over expenditure is sorely lacking. “What are the productions of foreign companies and how much TRT has spent on this content is not clear. In the 2016 annual report, there are percentages provided under the ‘foreign production section’. In 2015, 59 percent of the expenditure was on foreign productions. In 2016, the expenditure spent on foreign productions was 55 percent. TRT has to explain the details of this spending,” Güven argues. Güven cites a report journalist Sebahat Karakoyun of Turkish daily newspaper BirGün, who reported that TRT’s expenditure for external content increased 6.2 percent compared to the previous year and reached 383,5 million lira in 2017. Banu Güven further indicates that, though, Vice President Mr. Oktay refused to answer CHP MP Antment’s question about TRT’s spendings, pointing it as “trade secret”, BirGun’s Karakoyun reached out those figures from KIT’s reports in the Parliament. TRT spent 445 million lira ($82.62 million) for news content in the past year. It paid 53.6 million Turkish Lira for individuals who provided services to TRT, according to Güven. A costly sporting AK Party connection for TRT? Güven said that TRT had vast experience on sport programs that it was able to produce in-house, yet the broadcaster was paying huge sums to private production companies. “For instance, TRT pays a large amount for the ‘Sporda Bugun’ (Today’s sport) program to the private Saba Production. How much did TRT spend for ‘Futbol Arenasi’ (Soccer Arena), which pays the astronomical salary of its host Sergen Yalcin? What was the budget of this program and what was its cost to TRT?” Guven asks. “Saba Production’s secret owner is Mucahid Demir who is the nephew of AKP’s co-founder, former Deputy Prime Minister Bulent Arinc who was responsible for the TRT in the government. Although Arinc denied the allegation, these corruption allegations have to be investigated” Guven said. There was no immediate reaction from the Turkish government to Güven’s column for Deutsche Welle. Guven, a TV anchor, had worked in NTV news channel for 14 years, however, she had to leave the channel in 2011, right before the general elections. On various interviews she stated that she left the channel upon increasing pressure from the ruling authority.